It is tough to see the overdate with this die marriage. 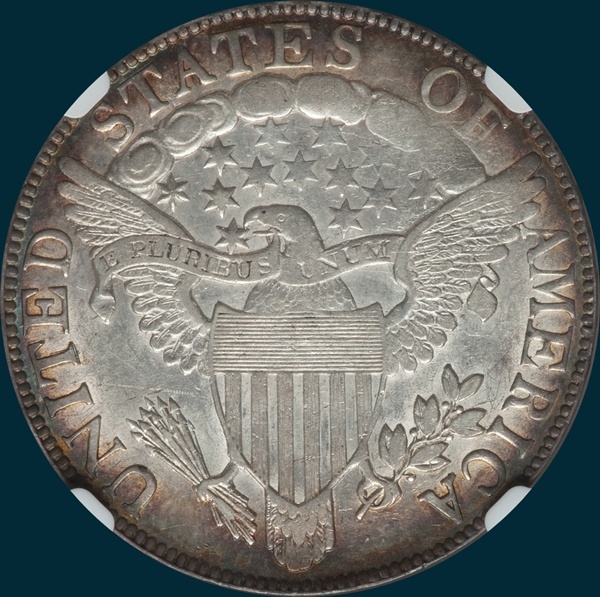 There is a nice group of AU examples with a single MS61 coin out there making this one not that difficult to obtain in a higher grade. The late die state has a break then a cud above ITE reverse and is very rare. 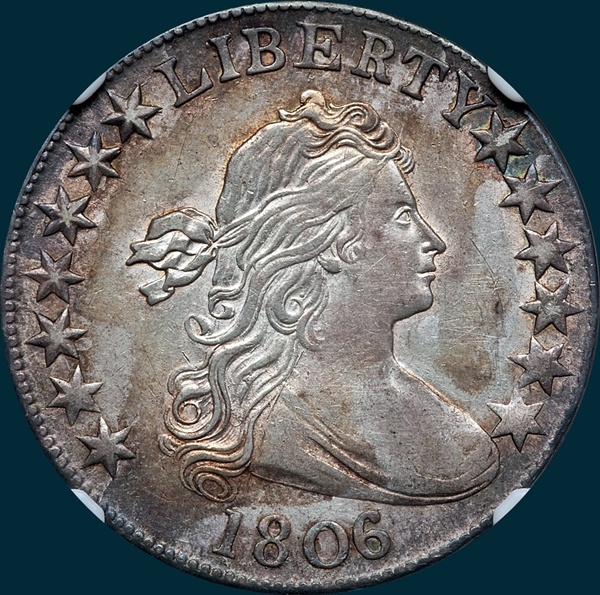 Variety Attribution: Obverse-1806 over 5. Stars are large and star 12 is recut with a broken point near highest point of star 13. Date is 9 mm. with 06 very close and 0 recut. Top of 5 visible near top of 6. Most specimens show a die crack from edge above Y to top of T and from edge above L to star 7. Star 13 joined to bust. Reverse-O-101: 5 berries and all have stems. the lower one above branch is joined to the center pair of leaves. Point of leaf nearly touches right base of I. Eagle's beak joins upper side of star. Right base of F missing. Most show a die crack curving through top of ITE.T in UNITED and second T in STATES are recut. O-101a: There is now a heavy die break top of ITE joining the three letters to the rim.